If you just started your locs and are wondering whether or not you should use conditioner on your starter locs, then you are in the right place! 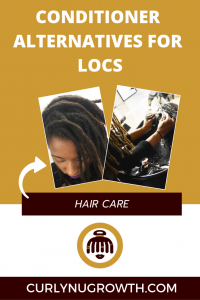 While, the use of condition on locs is a heavily debated topic, I want to share with you the science behind conditioner and locs to allow you to make the decision that works best for you and your journey. 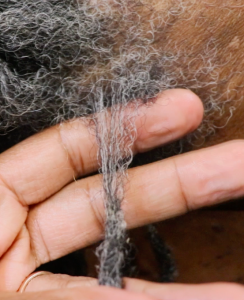 First and foremost, I believe that you absolutely should condition your locs, however what that “conditioning agent” looks like can be very different than what you may have expected. The most commonly known conditioning products for textured hair are the cream-based conditioner and opaque leave-in conditioners. These products work great when you have loose natural hair, or even relaxed hair, where the goal is to minimize tangles, reduce frizz, and smooth the hair. However, with loc’d hair the use of cream-based conditioners on locs can slow down your progression through the stages of hair locking. Think about it— your goal is to tangle and mat your hair (to form locs) and conditioner detangles. 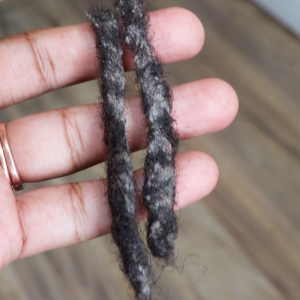 Additionally, the continued improper use of cream-based conditioner on locs can also contribute to the potential for lint accumulation and buildup. So, how do I condition my locs? I’m glad you asked, let’s talk about a few alternatives to conditioner for locs. While there are numerous ways that you can strengthen and condition your locs without using creamy conditioners, I’ll share 3 of my top favorite methods— herbal rinses, steam treatments and hot oil treatments. Herbal Rinse: An Herbal Rinse specifically formulated for locs does a great job at nourishing the scalp, strengthening the locs, and preventing any mold/mildew growth. What’s also great about Herbal Rinses for locs is that they double as a refresher throughout the week! Steam Treatment: A steam treatment is great for restoring the softness and flexible of your locs, especially if they’ve been feeling dry and brittle since your last cleansing treatment. A Steam Treatment uses vaporized water to penetrate into the hair shaft and hydrate the locs from the inside out. You should have a Stream Treatment at least every 3 months, regardless if you use this method for “conditioning” or not. Hot Oil Treatment: Hot Oil Treatments nourish dry, dehydrated scalps and help to seal the moisture into the shaft of locs. The key to Hot Oil Treatments is to use the proper type of oil so that you don’t weigh down the hair or create an environment for build-up. It is also important to know that Hot Oil Treatments are mainly used for the scalp, so don’t slather your locs with oil! 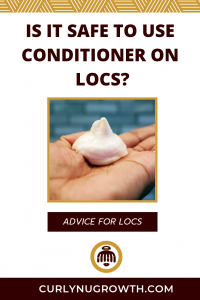 With all this being said, it is no doubt that you will find people using cream-based conditioner on their locs and even hair care professionals and Locticians that swear by the usage of cream-based conditioner in locs. And if you are still a believer in cream-based conditioner on your locs, I’m not against you, just please be sure that you’re diluting it probably and rinsing it extremely well! For everyone else, your best choice for strengthening and conditioning your locs are using one (or more) of the alternatives listed above. 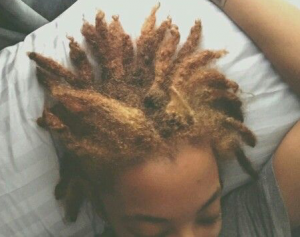 How do you condition your locs? Share your favorite method in the comments below!